Electric bicycle rentals in Chianti, Tuscany. Tuscany e-Bike Rental S.n.c. rents modern e-Bikes from our offices in Gaiole in Chianti. Volpaia and Castellina. We also offer guided e-bike tours. Click here to learn more about our Chianti e-Bike rentals. 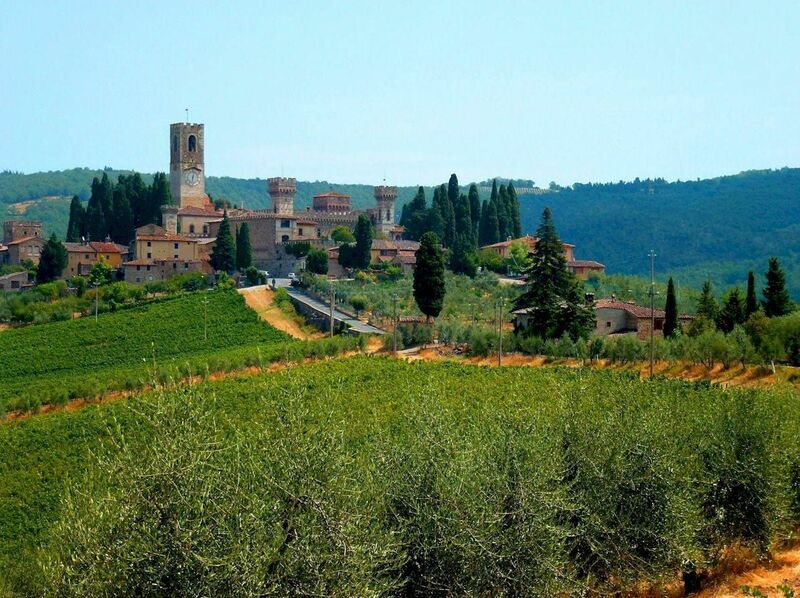 This is Chianti in Spring - specifically, this is Badia a Passignano. As you can see, the Chianti (and much of Tuscany) is hilly. While the roads are packed with fit men (yes, they're 99% men) on their racing bikes, those of us who are not as fit as we used to be need a bit of assistance when it comes to riding through the warm, sweet air of rural Tuscany. The answer is the e-bike meaning electric bike or boosted bike. These are basically normal bicycles equipped with a generator and an electric motor, together with modern accumulators (re-chargeable batteries). The latest models are a pleasure to ride. All the advantages of cycling in the open air with considerable help from the booster motor on the hills. 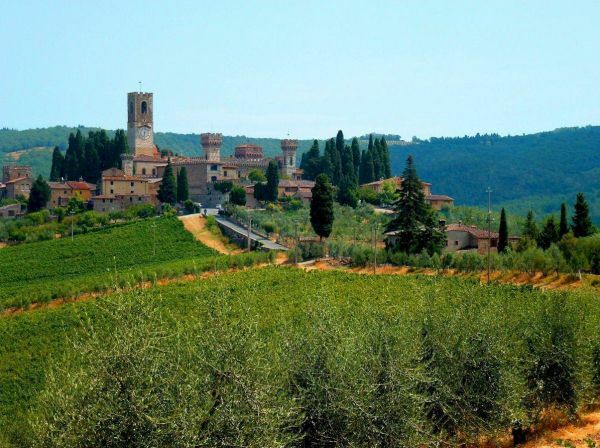 You really have to experience a Chianti e-bike excursion to appreciate what this means - a whole new way to enjoy the natural and historical sights of Chianti. E-bike hire in Chianti. Tuscany e-Bike Rental snc. di Ansalone e Camaiani, via Roma 82, I-53013 Gaiole in Chianti (SI), Italy.